He attributes this “stagnation” in innovation to rising inequality, stagnating education, an aging population, and the rising debt of college students. He gives several examples to these in the form of household necessities such as television, refrigerator, automobile and medicine all of which have not progressed any further since 1970s, albeit being slightly different in form factor or shape. He is also very true about the information technology advances, in the form of personal computers that revolutionized the 1980s, the iPods that took the music industry by storm in early 2000s, the iPhones and the smartphones that followed in 2007 changing the way people stay in touch. There has been an immense change in the way news is broadcasted, in the form of the current social media giants such as Facebook and Twitter. Today a person can know what is happening around the world and communicate with anyone across the globe by sitting on his couch at home. With that comes the feeling of being too comfortable with lives. Back in the “golden” era as mentioned in the book, between 1870 and 1970, comforts were limited and handwork was the key. Innovations came as a natural consequence of a quest for a more comfortable living. But something that the book does not consider as a factor for slowing down of innovations – have we reached a point where life is way too comfortable to stop thinking about innovations that can make it even better? Just a food for thought on a Monday night…. Knowingly or unknowingly, this is perhaps the most widely used service, from the common consumer models such as the web operating systems like chromeOS, and music delivery platforms like Pandora and Spotify to more business related models such as Citrix GotoMeeting and Cisco WebEx. Any application that is managed by a third party delivered across a network to the clients can be grouped under this service. As data started to become more and more prevalent and its storage and analytics began to gain importance, so did the need for cheap computing power. The ability to provide a cost effective means to manage applications, data and messaging systems became a niche that organizations would much rather pay to use than setting up their own. Microsoft Azure, Amazon Web Services (AWS), Google Compute Engine (GCE) provided just that. Often times, these services are also availed when an organization has a requirement for temporary compute power. Investing in a plethora of services, network infrastructure and storage, during those times can be extremely expensive, when IaaS platforms can provide a cheaper alternative to setup and tear down virtual infrastructure on a case by case basis. This was perhaps an after-thought of SaaS to provide a solution over the cloud and is often used interchangeably with SaaS in a lot of use cases. It could vary from common tools such as office 365 or iCloud to a more exhaustive suite such as a webOS such as ChromeOS. PaaS aids in collaboration across geographically spread out teams and organizations. This refers to hosting an entire datacenter for organizations more as an extension to IaaS. Companies such as Sun Gard, provide disaster recovery sites to various organizations that do not want to spent the money to invest on data centers which will be used only during those rare occasions such as Hurricane Sandy. Also used alongside “Help Desk as a Service”, this was a term coined recently to market those “service oriented” companies in the past, including “call centers”. More followed suit as MaaS (Metal as a Service for automated bare metal provisioning or Monitoring as a Service for data center monitoring services), NaaS (Network as a Service), DRaaS (Disaster Recovery as a Service) and CaaS (Communication as a Service) started to be used more widely. 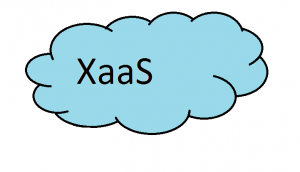 Soon came the concept of “Everything as a Service” (EaaS) or “Anything as a Service” (XaaS). As it starts to get more and more “cloudy”, I foresee an emergence of several more of these terms and soon “as a Service” will become a household term. Let me leave you with an interesting talk on “LaaS – Life as a service”. Make sure you turn on the subtitles. I don’t always sound negative when it comes to gadgets and technology, esp. when the potential is huge! For that same reason, when I look at the list of wearable technologies at CES 2014 , I’m excited, but disappointed at the same time. Wearable technologies seem to be the fashion of the era. Google Glass and the hype about smart watches started early in 2013 with Pebble and Sony leading the way. However even after a year has passed, things haven’t grown enough for me to justify moving from my ipod nano-watch strap combo to one of those myriad of new ones in the market. For one, I wear a few things around my two wrists – a watch (typically a traditional one and sometimes an ipod nano on a strap.) and a fitbit, which tracks my activity and sleep. What I would also like to have on it is a heart rate monitor and a GPS and a bluetooth connection to my phone to let me know who is calling. Here is a quick list of some of the more prominent ones that will be on display at CES 2014 . Let me throw in a disclaimer before I begin. The assessment is purely based on the specifications mentioned in the websites and can change drastically once they are out in exhibit halls tomorrow. Apart from the basic feature of time keeping and synching up with the iphone or android devices, what makes it unique is the fact that it also lets you know when your phone is out of range. Very useful when you are a person who keeps forgetting where you left your phone. I also liked the remote photo taking capability, something that is missing in an iphone today. It comes with a CR2032 battery, similar to the ones in a traditional watch. Although it says the battery life is long, I’m not sure if traditional batteries can actually handle the multitude of additional connectivity requirements. I would still prefer a battery that can be charged every week. The design looks more childish, although the case diameter looks big enough. This seems more like a traditional watch with the chronograph replaced with the modern email,phone,sms trio. Standalone. From the looks of it, this watch runs the Android Jelly bean OS, and has a built in antenna supporting upto GSM/GPRS/EDGE 850, 900, 1800, 1900 . Heart rate monitor that straps on to your finger tips. Querty keyboard on a small display. How much of an overkill is that? Do I really need something standalone. 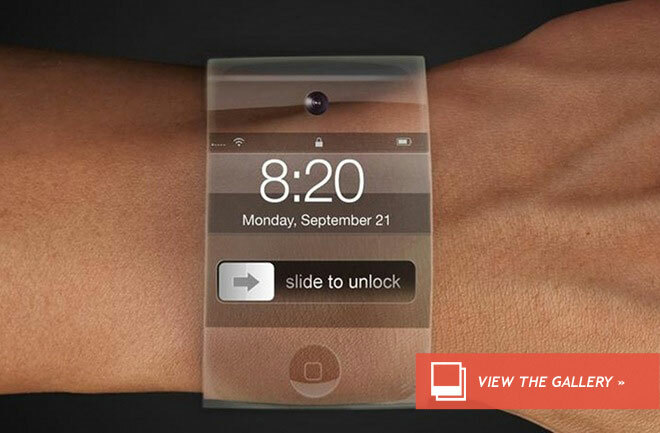 Would I much rather have a watch that supplements my smartphone? It cannot replace a smartphone for sure. So do I really need something this feature rich, esp. at $335? Curved display and touch screen. Perhaps the first of its kind. Variety. It comes in multiple styles from Burg 12 through Burg 18 , with varying feature sets catering to different user groups. The website seems to have limited information to really assess this watch. Device out of range alert for phones that are synced to this. Light on features, with no fitness tracking and heart rate monitor. Many more seasoned vendors have decided to venture into this market as well, notable ones such as Qualcom Toq and Sony. Then there is Pebble and the giant Samsung Galaxy Gear. And one might just start to wonder, why is it taking Apple and Google this long …. Ever since its inception back in the 1920s, with oil companies and hotel chains, credit cards have been a victim of constant identity thefts. Easy as the payments were, equally easy was to lose it, stolen or left behind in a bar/restaurant. I had written sometime back about Digital Identity . While the idea then was about a digital wallet on your smartphones using NFC or Near Field Communications, Coin decided to take it a step further. NFC still in its infant stages, mainly due to the security concerns associated with it, Coin might just be an answer to a fat wallet! In short, coin makes a digital copy of all your credit cards and lets you swipe “the coin” in place of them. And what’s more, it constantly communicates with your smartphone via bluetooth. This ensures that you always have the coin right next to the phone for it to function, with an alert triggered every time it leaves the phone behind by around 7 meters. It then deactivates itself – a simple solution for a lost of stolen card. Sounds wonderful on paper. Two reasons why adopting such a technology would make me a little skeptical, although I must admit I’m usually always the first to pounce on any new gadget. For one, this is a financial gadget literally having access to every single credit card that you choose to store in there, much like a financial management tool, which gets to have all your financial data. And, although it was announced back in November, this year. The shipments will not start until “summer” of 2014 and you are charged as soon as you preorder. Now the company has a very diplomatic answer to this, stating that this is a way they can help aid, financially, the manufacturing process. I’m sure this is all very credible, with its all expanding media hype and the number of preorders. Julianne Pepitone, from CNN Money, puts it very nicely on 3 big problems with Coin . I would say, one of the primary problems (in fact two in her article), makes me nervous – its acceptance amongst the retailers and credit card companies. Consumers will accept this readily as long as the usability is widened. It would be harsh if you enter a shop and the retailer does not accept your “coin”. Common man does not usually take security as a huge threat unless there is a gaping hole. If not several of those startups such as mint.com, paypal, or even facebook, wouldn’t have taken off. Having said all those, I still think Coin has a lot of potential. For one, the concept in itself is interesting. Not having to carry all my credit cards in my wallet just reduced the significance of my traditional wallet entirely. And the card looks great in its design. So while we wait on its shipments and the user reviews, I’m still on the fence regarding the preorder… Let me leave you with an interesting concept video in the meantime. Let me start by talking about Samsung Galaxy Gear. Samsung has started to become rather secretive about their product launches, building up the expectations and the curiosity. 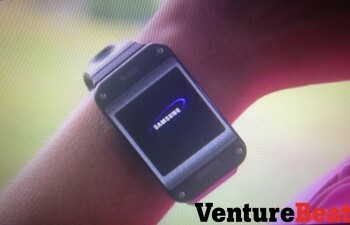 So there isn’t a definitive Galaxy Gear snapped yet. While the early pictures show something rather bulky, as the choices in the market seem to still be scanty and since Apple has been amazingly slow in bringing its much hyped iWatch to market (gone are the days when Apple launches were considered to revolutionize markets! ), there is hope for those with smaller wrists, such as me. With a Wifi Radio and 4MP camera , that would perhaps require an awkwardly held hand to take a snap, the “gear” seems to run Android in its core, giving it a better potential than the Newton of the PDA world! Then came Nymi, from the Toronto based startup called Bionym, taking biometrics to the next level. While the rest of the world is still playing with the fingerprint recognition at the same time fantasizing about the biometrics of the retina glorified by the heist movies over the years, Bionym, realized that hidden amongst the Electro Cardio Gram (ECG) pattern is what is known as a HeartID , unique to every individual. 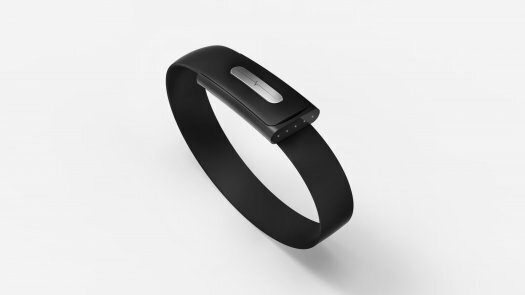 And using this, the wristband can now help unlock your phones, laptops and potentially even your car! SecurID News has a rather extensive review of the technology, going on to explain the out-of-box authentication methods and how secure it can prove to be. Karl Martin, the CEO of this highly optimistic startup, goes on to explain that this is a first generation product. More needs to be seen on how the market responds. My first take, as I have always been extremely excited about new gadget, will obviously be biased. There is potential, if channeled the right way. At the same time, it takes a lot to make a common man accept such a security tool, given the high caution thrown on identity thefts these days. Nevertheless, exciting times are ahead! I must begin with a confession. I am a terrible Apple fanatic. So any resemblance in the title here is not a mere coincidence. But I assure you, the resemblance stops here. This is a concept – one that can perhaps be described as a concoction of a multitude of concepts that have already been floating around. Through the posts that follow, you will find me elaborating more on every one of those concepts to unearth a common theme across them – the crowd. Over the past five years, as social media and networking have started to mushroom around the web world, with smartphones and tablets becoming a common man’s gadget, several companies have started to make use of the data that is updated by users around the globe. And indeed many of the entrepreneurs and thinkers of this era have started to find correlations amongst these efforts. And along came several concepts, those which have gradually started to become an everyday term. Among them, Collaborative Consumption coined by Rachel Botsman , Crowd Sourcing coined by Jeff Howe of the Wired Magazine and Cognitive Surplus by Clay Shirky have grown significantly, in parallel. While each of these talk about the influence of crowd in the functioning of the today’s world, analyzing and categorizing companies and organizations among various buckets, each have their own distinction. They portray a very specific aspect of the crowd and collectively they can encompass the iCrowd, in its entirety. Collaborative consumption talks about the idea of sharing what you have with a stranger, through a common platform for sharing, that is built upon trust. The product that is shared can vary with an organization that lay forth the platform. Airbnb, Taskbunny, A Spare to Share are all examples of this sharing. Rachel Botsman through her ground breaking talk at TED and her book What’s mine is yours , laid the foundation to this categorization of sharing, into buckets based on services . 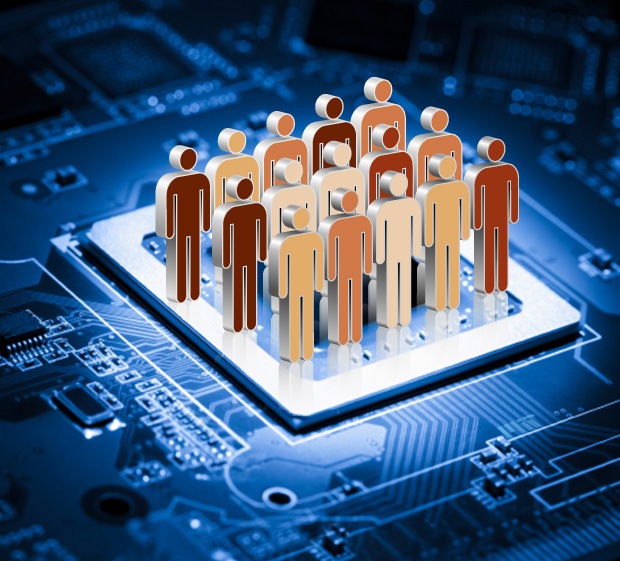 Crowd Sourcing, coined back in 2005, talks about the idea of converting user input data into useful information, in the form of trend or recommendations or even just a single point of data depicting the state based on the data gathered from the “crowd”. I have spoken extensively about Crowd Sourcing and have tried to classify them into some reasonable buckets. SkyMotion, Waze, Minutely are all applications that have presented information from a large repository of user input data. There are then the amazon recommendations providing you with a list of products that “other customers” looked at, after viewing a particular product, in which case the input is user data collected passively. 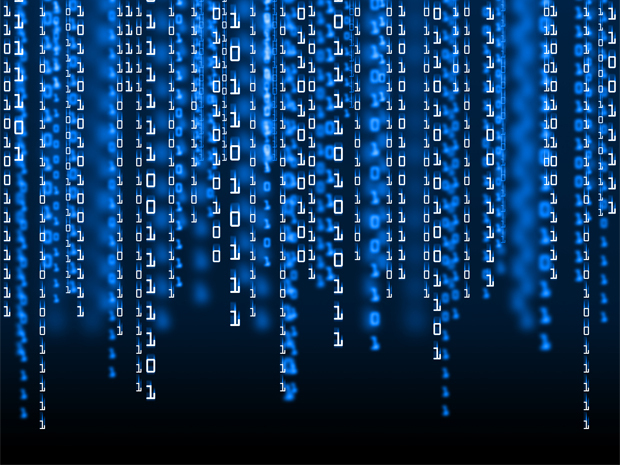 We will look into both these situations and how they play a part in the information transfer. Cognitive Surplus is a more recent term, yet to be defined exhaustively. Clay Shirky describes it as a form of constructively making use of an individual’s free time towards a particular goal. Add in the crowd dimension and you now have an “organization without an organization”. Wikipedia is perhaps the best example of this “revolution”. Although Wikipedia has been around for quite sometime, identifying the concept that made it a huge online encyclopedia was as recent as 2009. As more and more efforts start getting categorized under this umbrella, cognitive surplus can be yet another powerful concept making use of the power of crowd. In the coming weeks, I will hoop through each of them in more detail, pointing out examples that illustrate the common link and the distinctions. Some call it the phablet revolution. And some say it is just a natural progression. Yet Apple famously came out with the thumb ad to not jump into the band wagon. Agreed, Samsung Galaxy Note did seem a little weird while talking. But so did bluetooth earphones… All it took was a few days of getting used to the new form factor. 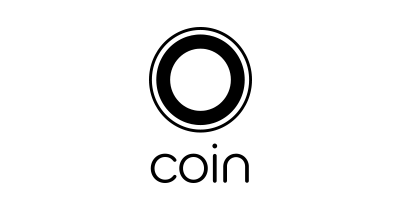 The “unofficial” definition of Phablets goes like this – a class of smartphones with screen sizes ranging between 5 and 8 inches and designed to combine or straddle the functionalities of a smartphone and tablet. Dell Streak 5 was then identified as the first, although it was commercially unsuccessful. It was not until Samsung Galaxy Note was introduced in the Fall of 2011, the real meaning of the word and its associated concept started to take shape. And within a year, the world became a changed place. The 2013 Mobile World Congress held in barcelona between 25th and 28th Feb, was indeed a playground for all phablet aspirers. With a plethora of models and concepts , it truly stole the show! So where do you think this could go? Tech Trader Daily writes, according to a reports by the wireless and mobile analysts at Barclay Capital, Phablets are sweeping the globe . I, for my own personal bias have not yet made the brave move to switch from an Apple product to one of those phablets. But I’m sure as the year progresses, I just might be tempted to change my bias, unless Apple decides to enter the revolution! The news at Gizmodo today morning, got me thinking, why do I pay for books I don’t read beyond a few pages! The latest victim was, The Last Templars, by Raymond Khoury – a book which showed an amazing promise in the beginning, with its fast pace and history, but slowly managed to drag into religion and philosophy, making me drop it right then. I almost regretted buying it. It was Amazon 1-click that has emerged as the primary culprit for such impulse buys. It has also become a common dilemma around the globe, not just for ebooks, but printed copies as well. There are two problems that I see here – what do I do with a book that I do not wish to keep after reading, and what do I do, if I do not wish to read a book completely. I was rather amused a few months back, when I was browsing through the books at the Paradies Shop in St. Louis Airport. I picked up a book and walked over to the counter to pay for it. At the end of the whole transaction, I was given a slip which said that I could return the book after reading, to any of the listed bookstores and get 50% money back. Read and Return , they called it. So when I read about Total BooX and their concept of pay-as-you-go, it did sound intriguing. Atleast it did prompt to jump into the band wagon, and register for updates. I must admit the screenshots look rather impressive. And with the statistics that have been put forth, I must say a person like my father who loves keeping track of things, he would jump on to such a opportunity. Now how much would a page cost? That’s something we will have to wait an watch. There is another school of thought, which advocates making eBooks free, with adwords and advertisements making up for the cost and any additional profit you expect out of it. Now finding the right balance for that would be an interesting economic problem. 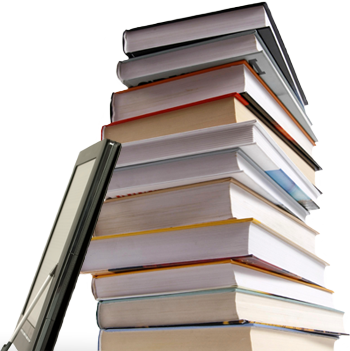 Renting has been another aspect in the world of books. How can that be translated into eBooks, poses the other interesting challenge. Amazon lending Library has found quite an impressive success ever since the launch. But the fact that it is limited to kindle owners hinders its growth to an extend, although I’m sure one of these days it will make its way to the Kindle App as well. And then along came Overdrive , with an attempt to resurrect the ailing hard copy lending libraries. Its concepts such as waiting for a book to be available at the library, and automatically returning the books after the specified due date, has made it almost close to the lending library around the corner that we all are used to. But there is certainly room for growth and innovations. Combining the concepts of Collaborative Consumption along with the revolution of the social media, peer-to-peer lending of ebooks is still an untapped avenue. Wallaby solves one of those financial dilemmas! If you are someone like me, I’m sure you must have faced a situation where you took out your wallet at a restaurant and started to gaze at all your credit cards wondering which one to choose in order to gain the maximum rewards. Well, now the answer to this problem is just a click away – Wallaby ! Currently launched just on the iPhone as a free app, wallaby lets you add you credit cards to scrape through their rewards and benefits every time you search for a location. Before you panic, I must say, it does not require you to give out your entire card number. All it needs it the first 6 digits of your card, which uniquely identifies the bank and their list of credit cards. You can then save the ones you own. What that means is, wallaby just mines the rewards programs from each of those cards, which usually stays the same across any user. So the next time you go to a restaurant, all you have to do is to just launch the app and it will tell you based on your location, which one of those cards to pick to pay. Quite a novel idea! Coached by the mentors at Mucker Lab , the app was launched two days ago at the iTunes Store . While the whole array of credit cards that it presents to you is huge, there is still quite a few missing. For now, it gives you an option to send a message stating the details of the missing card. I’m sure as the user base grows, the database of credit cards will slowly move towards being exhaustive.